The incorporeal surface of the mirror houses the curved profile of the opalescent lenses in elegant mountings, recreating the colour rendering of sunlight with absolute perfection. Countless hours of research into light refraction are encompassed in the apparently simple design of this collection. 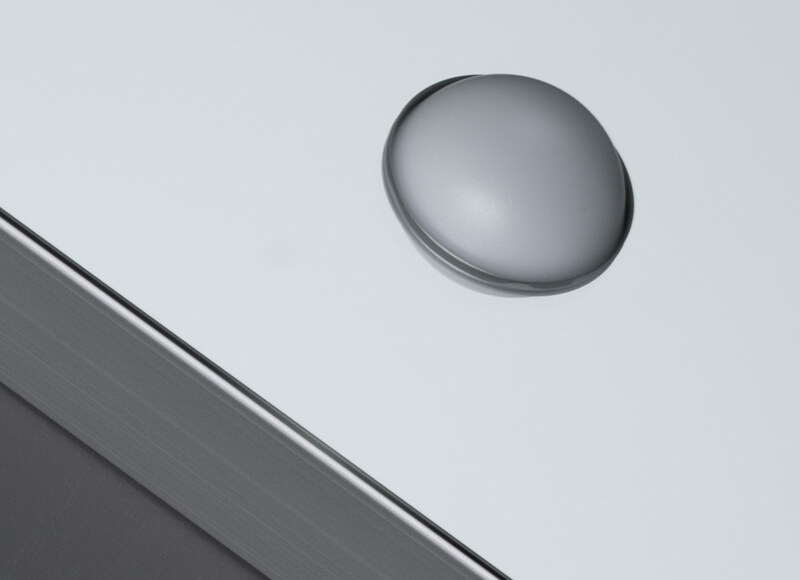 The MDE range is a successful combination of function, advanced light technology and sensual Hollywood appeal. I-light technology, which is fully integrated and recreates the colour rendering and incidence of sunlight with absolute perfection, guarantees enveloping and even lighting of the body and face. These mirror units with clean, elegant lines, designed to furnish corporate spaces, can be used to create appealing and highly functional corners in commercial spaces, hair salons, chemists and opticians thanks to their low energy consumption, simplicity of installation and the absolute absence of heat emissions. Would you like to buy an MDE mirror? 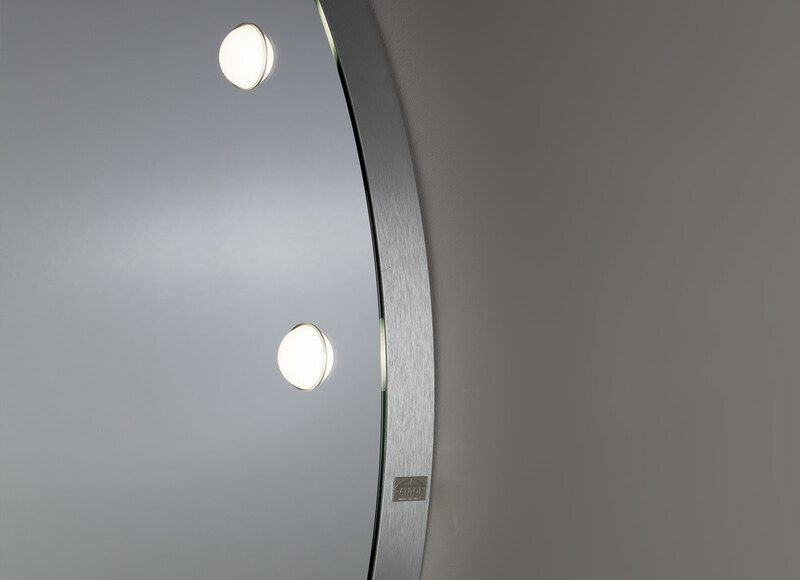 The MDE range includes mirrors with I-light diffused lighting in silver-coated float glass, with a 40 mm curved or linear profile in silver anodized aluminium and continuously adjustable brightness. The MDE modules can be installed next to each other to create large mirrored surfaces. 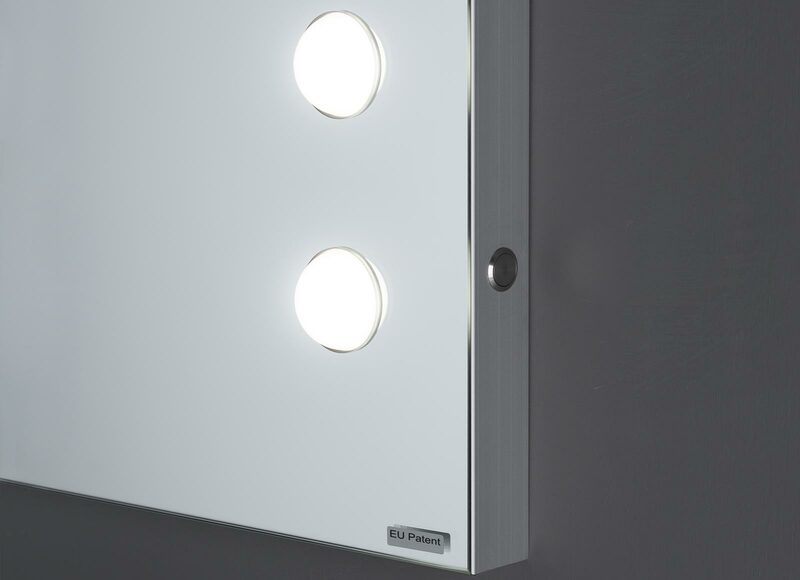 MDE lighted mirrors are also available as compact table or free standing mirrors. *Feasibility and costs of each request will be singularly evaluated by Cantoni technical dept.